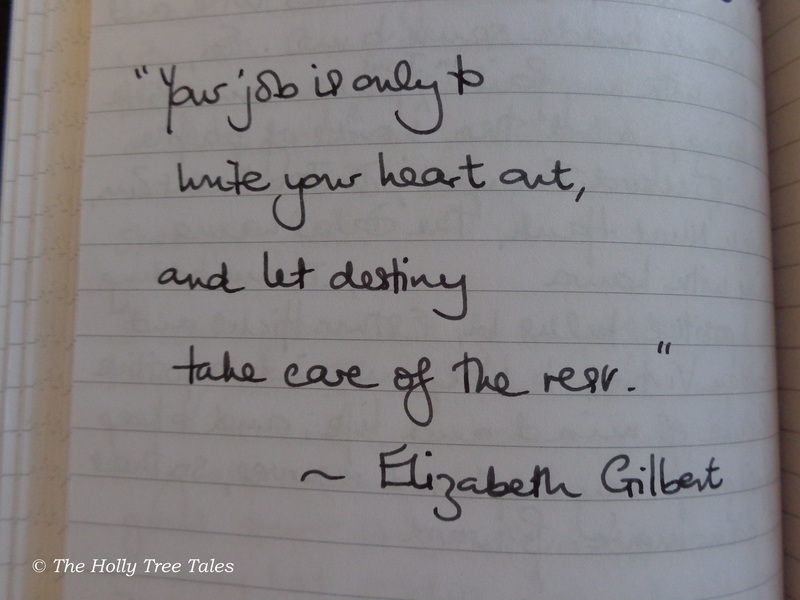 Happened upon this handwritten note in my journal, from an inspiring article by Elizabeth Gilbert (Author of “Eat, Pray, Love”), directed to me by my daughter last year. And let destiny take care of the rest. A gentle reminder to get on with the job.